Reflective roofing has gained tremendous market share in recent years as energy costs and environmental concerns have increased. 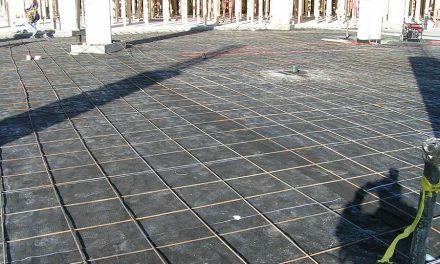 Black roofing membranes have been the status quo for more than a century. And while they usually do a great job protecting the building beneath, they can also contribute to higher energy costs and the “urban heat island effect.” The solution may be a simple black-and-white decision. White roofs work because of the physics of sunlight. Dark roofs absorb and hold more than 80% of solar energy, while white ones can reflect 75% of it away. That makes a white-roofed building cooler and cheaper to air-condition. It’s an idea, writes David Fahrenthold, that “depending on your perspective, is either fairly new, or as old as Mediterranean villages, desert robes and Colonel Sanders’s summer suit.” Not only do white roofs reflect more light, but they lose the energy they do absorb more quickly—a principle known as thermal emittance. 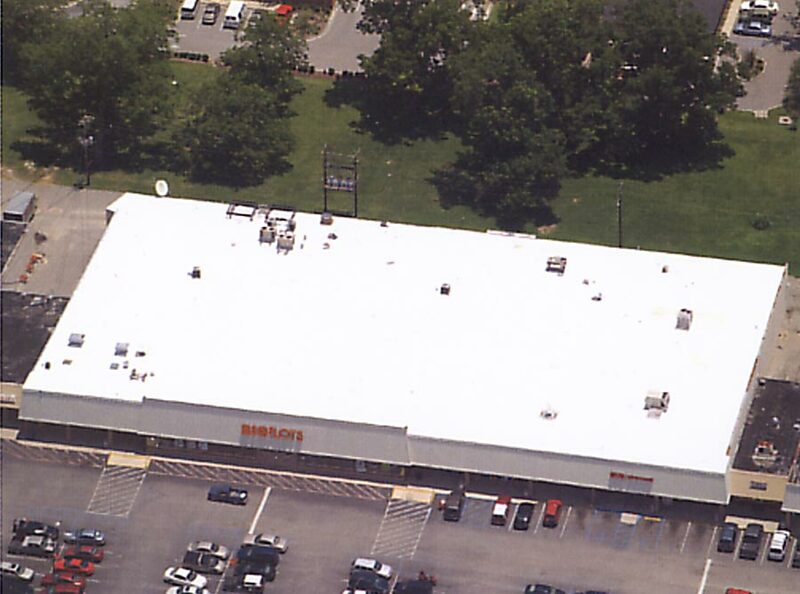 These before-and-after photographs of a BigLots box store shows the striking difference a reflective roof can make. 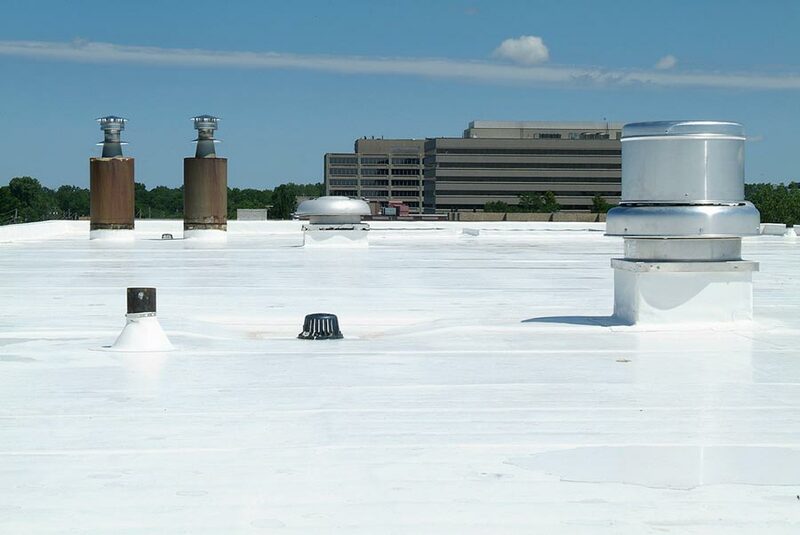 The white spray-on coating produced a seamless rubber-like surface that decreased roof temperatures by 100 degrees and will last for many years. On a hot day, a standard black roof can be 100 degrees warmer than the ambient air temperature, while a cool roof might be only 20 degrees warmer. That translates to a cooler building and less air conditioning. Given that Americans spend about $40 billion annually—one-sixth of all electricity produced in the U.S.—for air conditioning, the potential savings are enormous. Chu cited research from the Lawrence Berkeley National Laboratory, which claimed that the effect of painting about 63 percent of the roofs white in 100 large cities would provide about the same climate benefits as taking all the world’s cars off the road for 10 years. Energy Star, another promoter of cool roofing, says white or reflective roofing can lower roof surface temperature by up to 100 degrees F, and reduce peak cooling demand by 10% to 15%. Surprisingly, a cool roof does not pose a large additional cost if it’s installed as part the construction or renovation process. Some cool roof options, in fact, add no additional cost. Many roofing manufacturers, such as Carlisle, Henry, GAF, and others, offer cool white roofing products at a price that’s identical to the darker colored materials. Other options, such as spraying a cool roof coating over a built-up roof, may add to the cost of the project, but these options often increase cost by only 5 to 10 cents per sq. ft. In most locations, the cost of switching to a lighter colored roof is quickly offset by lower utility bills and other benefits. Rebates and incentives may also be available. Thanks to high-tech materials, cool roofing is now available in shades other than white or silver. 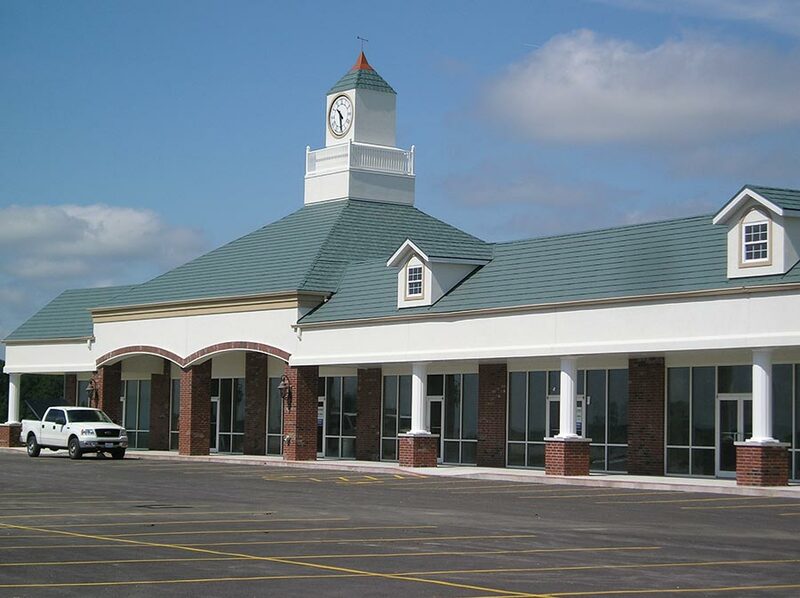 This retail office space in Rogersville, Missouri, uses a blue-gray MetalWorks shingle from Tamko to decrease energy usage while achieving architectural goals. Tax deductions are also available in the U.S. New or existing commercial buildings that save at least 50% on heating and cooling costs can deduct $1.80 per sq. ft. Partial deductions of up to $.60 per sq. ft. can be taken for lesser efficiency standards. These tax deductions are available for systems “placed in service” from January 1, 2006 through December 31, 2013. 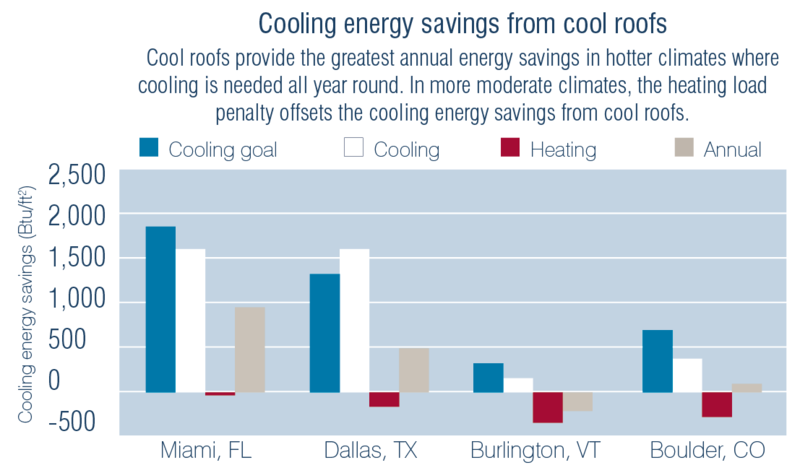 Snyder cautions, “A cool roof by itself will not likely reduce energy use by the 17% needed… To qualify for the tax rebates, facility executives would have to make other improvements in addition to a cool roof. 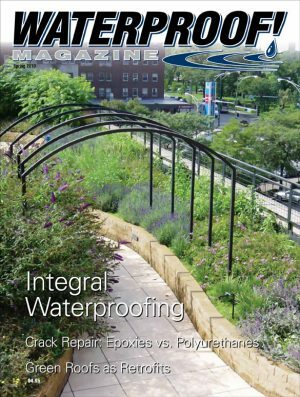 Rather than use incentives, a few municipalities are mandating white or reflective roofs through codes and regulations. California, for example, requires nearly all flat-roofed buildings to have white tops. Atlanta, Chicago, and Washington D.C. also have cool roof standards in place. 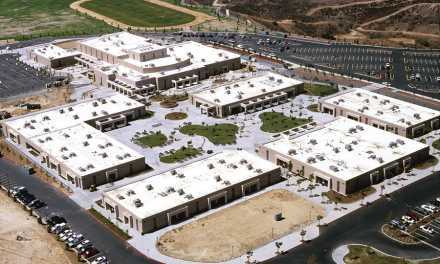 California’s Title 24 is the strictest in the nation, requiring all new roofs to have a minimum reflectance of 0.70. 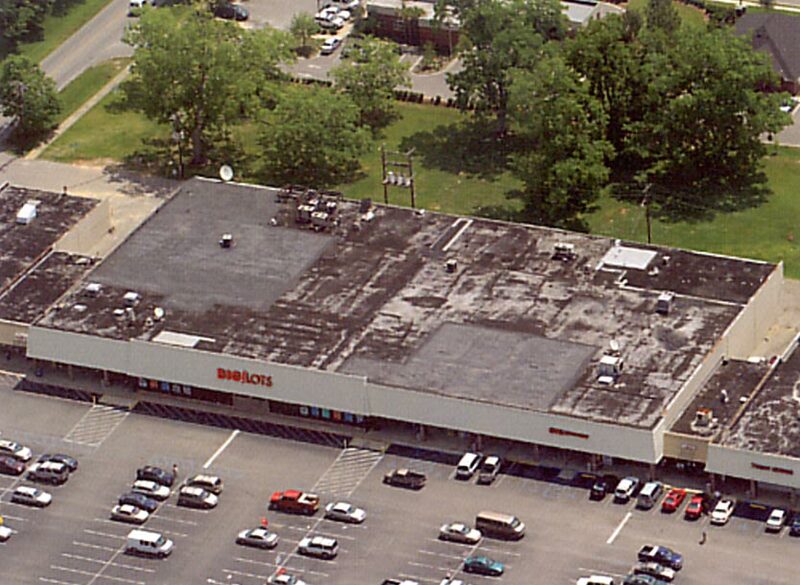 Corporations are also getting onboard; Walmart has installed white roofs on about 75% of its U.S. stores. 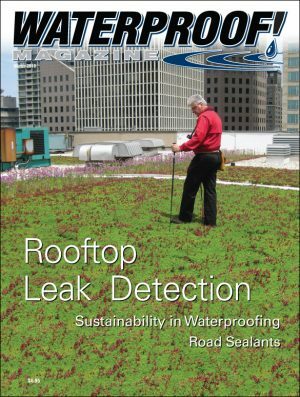 Cool roofs also play a role in green building certification programs. 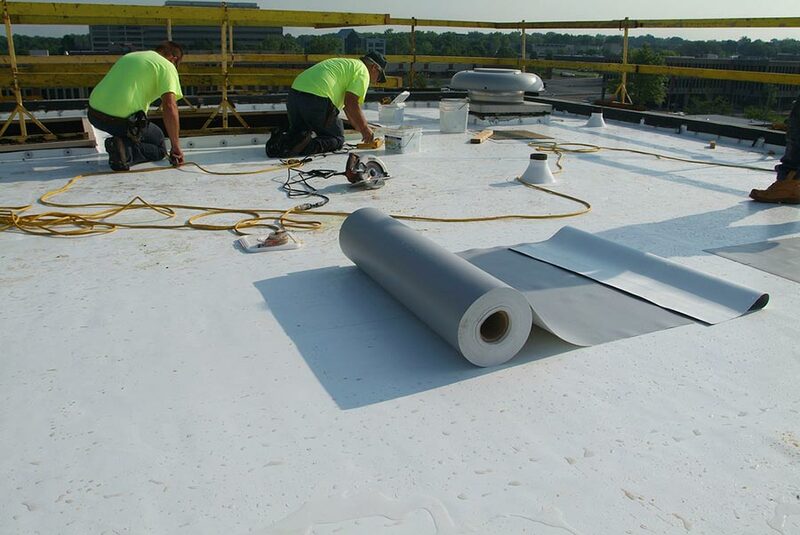 The U.S. Environmental Protection Agency’s (EPA) Energy Star program requires low-slope roofing to have a reflectance value of 65 (50 after five years of aging). The U.S. Green Building Council’s LEED program is slightly higher, requiring a solar reflectance index (SRI) of 78 or greater for roofs with less than a 2:12 slope. 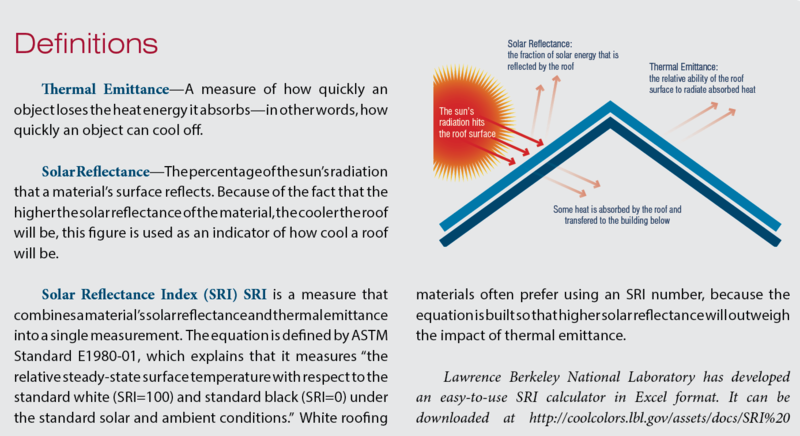 SRI is a measurement that combines solar reflectance and infrared emittance into a single value, using the formula outlined in ASTM standard E-1980. But what if the building is located in a northern climate with harsh winters? Wouldn’t a dark roof be better, since it could lower heating costs by soaking up the winter sun? Are the summer savings enough to offset the additional heating costs in the winter? First, in winter months, the sun is low in the sky, is less intense and shines for fewer hours each day, so even with a black roof the wintertime solar gain is much less than one would expect . Second, the roof is often covered with snow, negating any effect roof color may have. Finally, it’s significantly cheaper to heat air than it is to cool it. 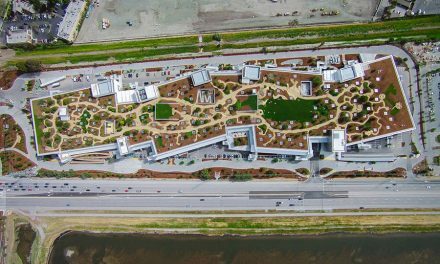 Researchers at Lawrence Berkeley National Laboratory analyzed the net energy use of buildings in 11 cities, and compared them to similar structures with cool roofs. The results indicated that summer air conditioning energy savings would “significantly exceed” any increase in heating costs. Across most of the Lower 48 states, the “winter penalty” decreased savings by a maximum of 10%. The Energy Star website dedicated to cool roofs includes an online calculator that can determine how much reflective roofing will reduce energy costs for a building in your area. Despite their advantages, white roofs do have a few downside risks. Manufacturer literature cautions first-time installers that white membranes can be hard on the eyes. Despite these concerns, it appears that cool roofing is a trend that’s here to stay. Until recently, choosing a cool roof color was literally a black and white choice. But recently, thanks to a number of innovative roofing companies, cool roofs are available in an unlimited range of colors. Vegetated green roofs and some paver and ballast systems also qualify as “cool roofs.” Oak Ridge National Laboratory concluded after three years of testing that concrete pavers and ballast with a coverage of 17 pounds per sq ft. or greater provide benefits greater than actual cool-roofing membranes. Based on that information, the City of Chicago now accepts paver and ballast roof systems as a cool roof. 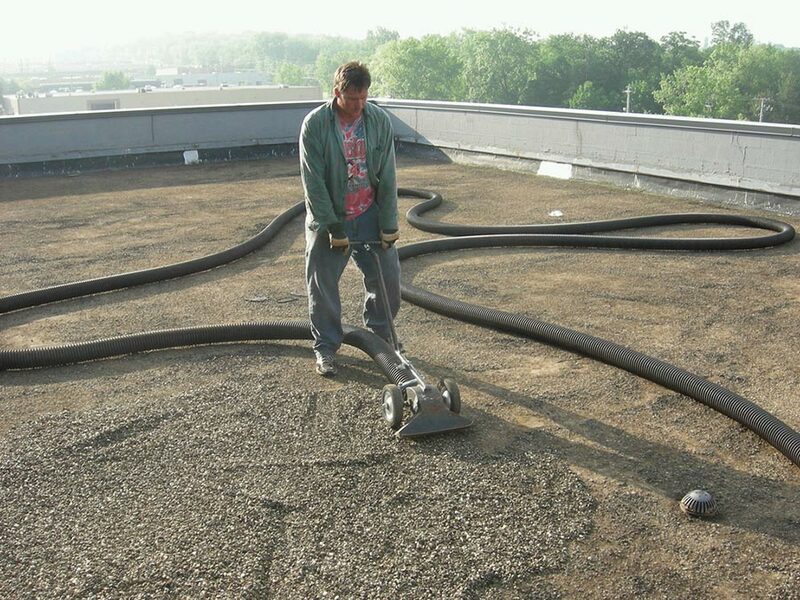 On one section of its headquarters, Tremco is installing an Energy-Star qualified Rock-It roof surfacing system, composed of white gravel embedded in white adhesive. Workers began by removing the old gravel ballast. Because the building is aiming for LEED certification, it is being retained for use as aggregate in the new concrete sidewalks. On the mechanical building, workers have already installed a reflective, single-ply TPA system. 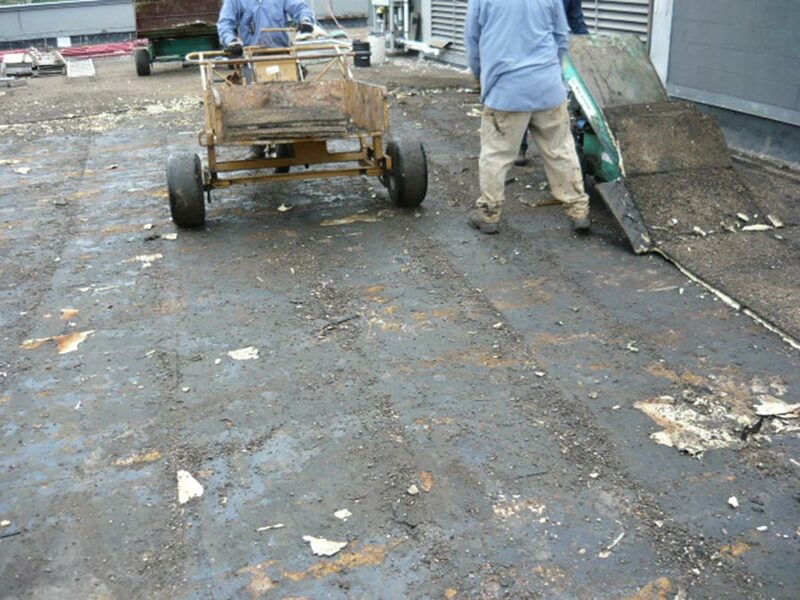 The process began by removing the old gravel ballast roof. Truck-mounted vacuums collected the crushed stone, which is going to be recycled into new concrete sidewalks. After the gravel was gone, workers pried loose the rigid insulation and hauled it off. With the waterproofing membrane finally exposed, crews carefully cleaned and prepped it for the new reflective membrane. 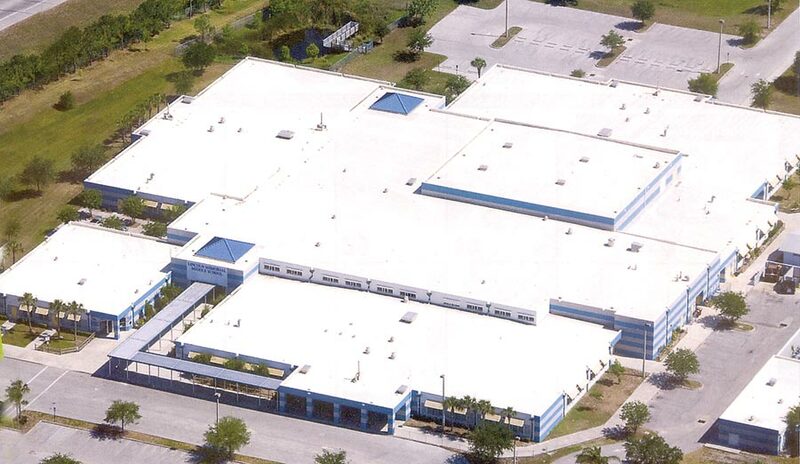 The product they chose, an elastomeric TPA (Tri-polymer Alloy) single ply roof membrane is Energy Star qualified. Not surprisingly, it’s made by Tremco. Rigid insulation panels also had to be removed prior to final cleaning. The company expects the cool roofs to absorb far less heat than the old black-surfaced gravel one, which should have a positive effect on the building’s energy use and cost. 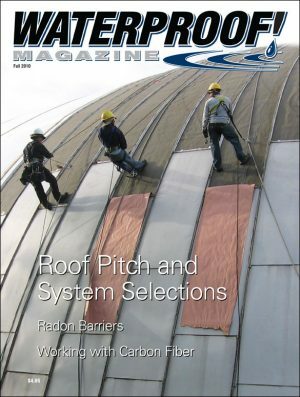 As with any roofing installation, attention to penetrations, seams, and detailing is critical. 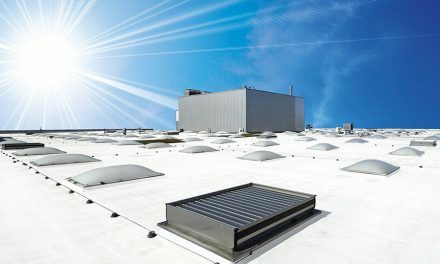 The new cool roof is expected to dramatically lower energy costs for this building, located in suburban Cleveland, Ohio. 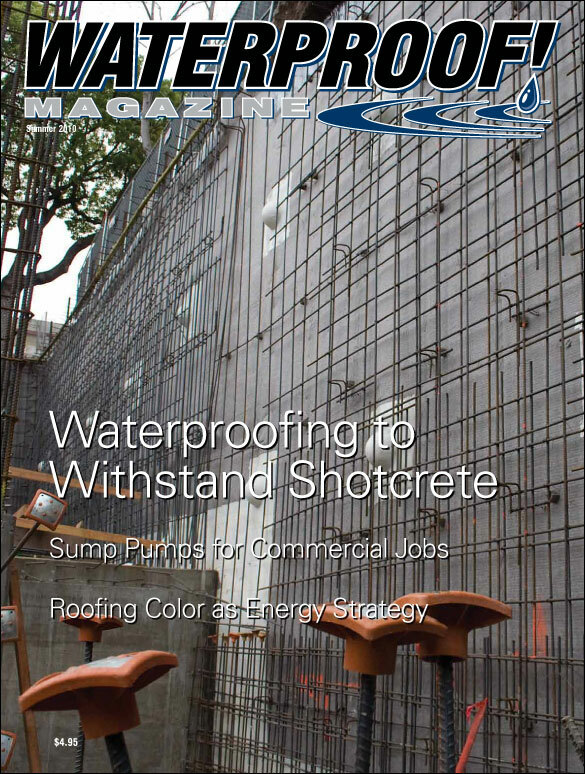 Shotcrete is a popular choice for tunnels, deep foundations, and other blindside work. But getting waterproofing that’s tough enough to stand up to the abuse is a top priority. The larger volumes of water, higher head pressures, and complex dewatering systems involved in commercial work make selecting the right pump for the job more difficult. While black roofing membranes usually do a great job keeping water out, they may also contribute to higher energy costs and the “urban heat island effect.” The solution may be a simple black-and-white decision.